It's Friday, the sun's shining, the fire's out (thanks to a thunder and lightning storm yesterday afternoon there was a small grass fire near us; no danger but everything stank of smoke) and, remarkably, I find myself with a clear head and an urge to post. So I decided to turn it into a hint. 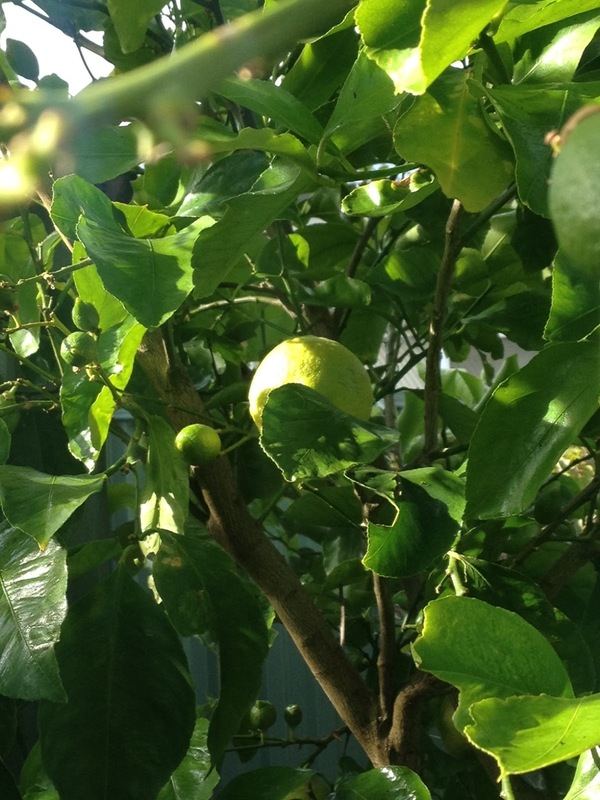 When life places lemons (in the form of a lemon tree in the garden of the cottage where you're staying while installing a museum), then of course you should make lemonade. Put the sugar in a saucepan with a cup of water (approximately 250ml) and bring to a gentle boil, then simmer on a low heat until the sugar has completely dissolved. Add another cup of water and leave the mixture to cool. Squeeze the lemons (should yield about 500ml juice) and when the sugar syrup is cool, combine the lemon juice with it. I like to throw in some lemon wedges as well. Should you not add a cautionary hint that baby lemons should be left to sleep?